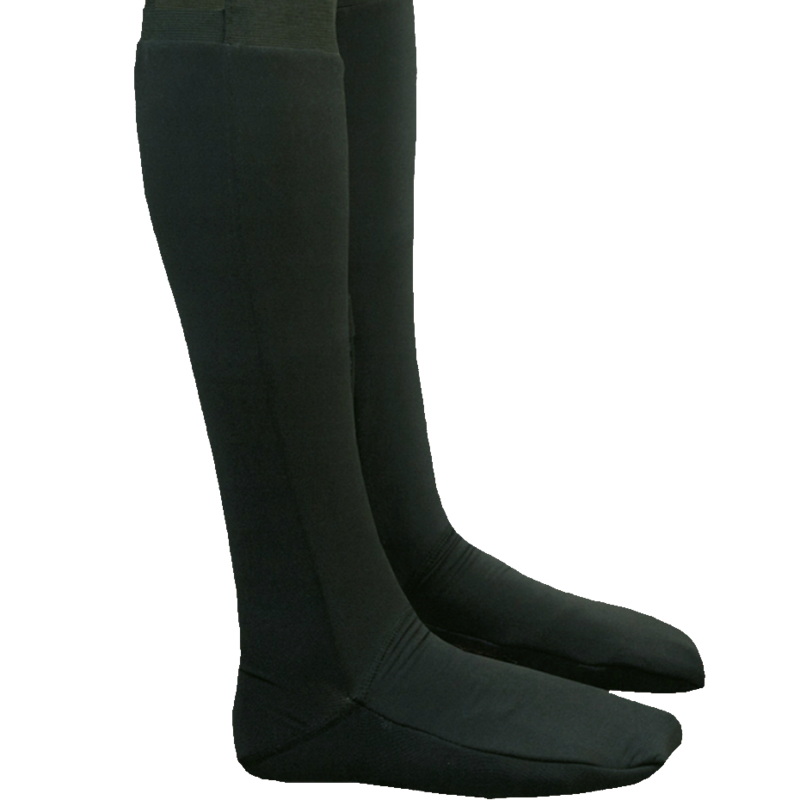 The best way to eliminate cold feet is by using our heated 12 volt socks. Hook them directly to the battery of your motorcycle by conecting them to the battery hook-up or use them with our portable 12 volt batteries which would be the B12V-5200 or the B12V-8000. To completely protect the ends of the body you can connect the heated socks to the 12 volt heated gloves using a splitter. It is also possible to connect the heated socks through a y-cable to the accesory of the heated jacket. The heated pants also have extra plugs coming out of the ends of the legs to connect the heated socks to. Note that the heated pants don’t have the dual wiring system like the heated jacket. You will feel the heat of the 12 volt socks, unlike the 7 volt socks, completely around the foot. The heating elements are strategically places on both the top and the bottom of the foot, which make your feet completely surrounded by heat. The 12 volt heated socks gives more heat output than the 7 volt socks. This makes it perfect for people who needs maximum heat output like on a motorcycle in sub zero temperatures. Frozen toes and motorcycling simply doesn’t mix. You can’t use your break when you want it, shifting into another gear becomes hard work. In the end: when you are freezing cold, not even the best thing you like to do becomes a hard thing. The best way to eliminate cold feet is by using our heated 7 volt battery powered heated socks. After developing 12 volt heated socks for the motorcyclists Gerbing finally have something for all other people who are suffering from the cold. Gerbing already has provided the motorcyclist with all kinds of heated products like the 12 volt heated gloves, heated jacket and heated socks but all these products have to be connected to a vehicles battery! Now we finally have the solution! Small portable batteries! These 7 volt batteries makes it possible to power heated clothing for a longer period of time.